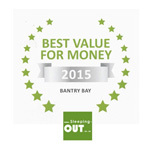 Please use our booking button to check the exact prices for your specific date of stay. ONLY through the direct inquiry page will you qualify for percentage discount at the discretion of management for FIT’s only. All prices are in South Africa Rand. Breakfast is an optional extra ordered from a selective a la Carte menu served between 8am and 10am and will be settled on your departure. All room rates are per room per night for maximum 2 guests (and not per person rates). A deposit of 50% and full credit card details will secure your reservation. Deposits made to guarantee are non-refundable. The balance of accommodation is to be paid 7 days prior to arrival. 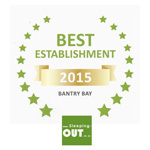 Cancellations made within 30 days of date of arrival, 50% of full accommodation is payable. NO-SHOWS will be charged as originally booked. In the event of premature departure the full extent of the stay as originally booked and confirmed will be charged. 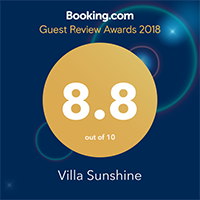 Refunds of deposits/ prepayments for bookings are at the discretion of management and are dependent on the ability to relet rooms. All major credit cards are accepted. 5% surcharge for Diners & Amex cards. Rooms that are not occupied by 18h00 will be seen as a no-show, unless prior arrangement has been made. 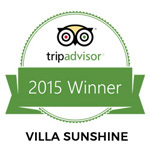 Important – Please confirm arrival time, flight number and name of guest staying at Villa Sunshine. 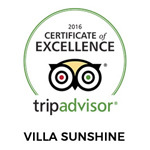 Outstanding payments are due on arrival at Villa Sunshine. Visa, Mastercard and cash are welcome. There will be a 5% surcharge to American Express and Diners Club cards. Some dates have a minimum stay; please contact us if no availability is shown.